The increase in demands and services for new products are the keys to the growth of the home automation market. Change is the only thing that is constant even as the world advances to another level. Over the years, we have seen drastic changes in variety of products. The technological advancements have helped many people to live an easy and better life. Here are a few Ideas for home automation that can help you convert your home into a smart one. 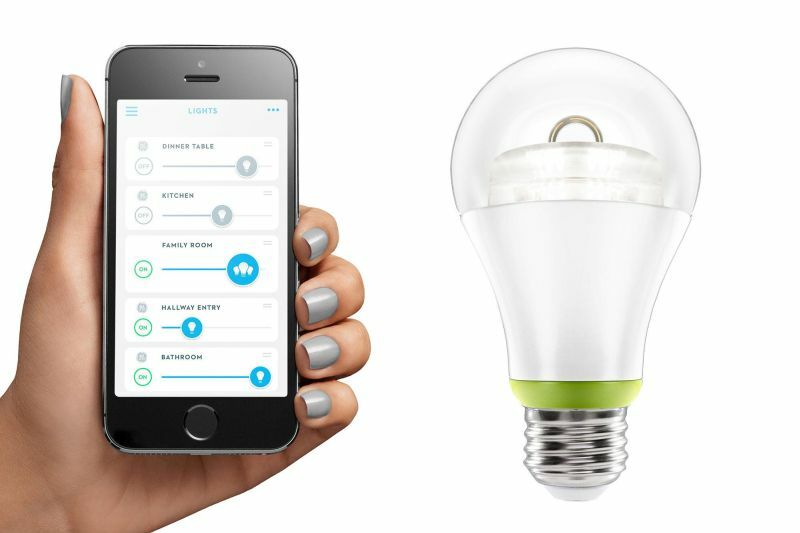 Smart Lighting is the first step to a smart home. If you are looking for ways to make changes to the present lighting in your house, here are some ideas of smart lighting that you can consider. Instead of just opting for a single light, you can convert an entire room to the smart lighting concept. This will give you the freedom to turn on and switch off the lights in one go. With the same button, you can also control various other devices easily without having to worry about anything. This includes your devices, electronics and lighting. Another good idea would be to opt for a light that turns on automatically if there is someone at the door; this also includes adding a smart light in the garage. Some lights are equipped with motion sensors, which automatically turn on when somebody enters the room. The lights will go off automatically when there is no one in the room. For your landscape or front porch, you can have the lights that turn on and off automatically at sunrise and sunset. For the late nights, you can reduce the brightness of the lights on the front porch or backyard and even switch off the ones that are not in use. People who love to read before they sleep can opt for the Bedtime mode, which sets the lamps near the bedside to switch on automatically and provide the right amount of light for reading purposes. You can also have a special night light placed in the Kitchen with a special night mode. This light will automatically turn on when you go into the kitchen for a late night snack. The brightness will not disturb the rest of the family members. Lights for your passage or stairs can be turned on during the nights through the home automation system. These lights will not be very bright but still they will be bright enough for one to see where one is going in the middle of the night. For those gloomy rainy days where it goes dark during the day time, you can install special lighting that will turn on automatically on the basis of the natural light during the day. These lights will ensure both proper visibility and energy efficiency. 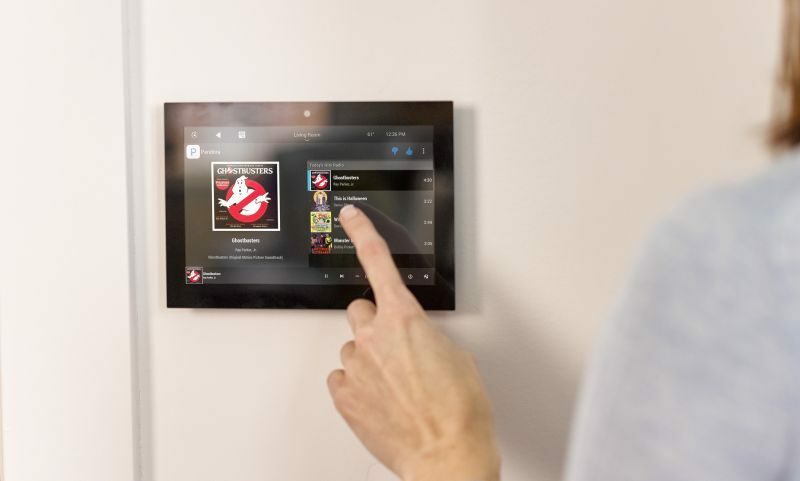 If you are a music lover or just love to listen to music at any point of time, then here are a few ideas with home automation products that will be perfect for you. You can add a home system that comes with a delicate keypad, which can be placed in any room. This allows you to stream the music that you like at any time you want. 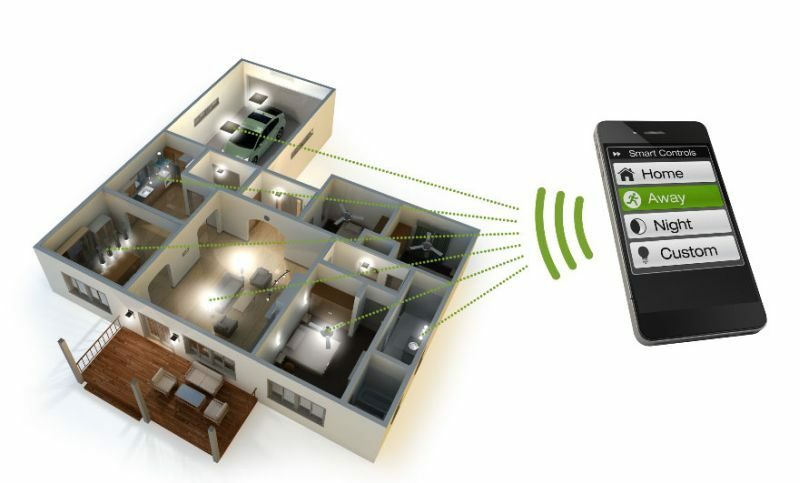 Another great idea is of having speakers placed in each room that are connected to a single home automation system. This will allow you to listen to your favorite music no matter where you are. You’ll be able to connect to the system through the app that is downloaded on your Smartphone. Some systems are enabled with the voice activation mode that can turn on or switch off the music whenever you want. You also have some that allow you to turn on the system just by a simple tap. You also have a few systems that come with the automatic on and off setting. You can set the time when you would like to turn on the music and also set the time when you want the music to turn off. Another interesting system is the one’s that lets you customize the modes for every individual in the house. This gives everybody a chance to listen to their favorite music at a decided time.